Big Star may arguably be the most important band you’ve never heard of. The Memphis-based power pop group released three studio albums in the 1970s—#1 Record, Radio City and Third—to commercial disappointment yet enormous critical praise. Big Star’s relationship with the Levitt Shell goes back 40 years. In May 1974, when the venue was known as the Overton Park Shell, Big Star played alongside a dozen local bands in a show billed as “Sounds & Friends,” and lead singer Alex Chilton played on the same stage in 1995. Slated to play at the Levitt Shell with Big Star in May 2010, Chilton passed away just weeks before the performance. The show was turned into an all-star benefit, featuring Mike Mills of R.E.M., Brendan Benson of The Raconteurs and Sondre Lerche, among other friends and musicians. Last summer, the Shell screened Big Star’s Live in Memphis, a 1994 concert film that was the band’s first performance in Memphis in 20 years. Because the performance of Third is still a few weeks away, you have some time to get acquainted with the group and their music. And before you do, here’s a quick primer on five things you need to know about Big Star. If there were some sort of visualization of the emergence of what we know as indie rock, all direct lineage would point to Big Star. Their jangly guitar driven pop gems can be heard in staples of 1980s college rock: REM, The Dream Syndicate, 10,000 Maniacs and more. The Replacements enlisted Big Star frontman Alex Chilton to produce their gem Pleased to Meet Me, penning the song “Alex Chilton” in his honor. When the Big Star leader passed away in 2010, The Replacements’ Paul Westerberg wrote a stirring tribute to Chilton in the New York Times. Memphis is a city rich in musical heritage. After all, you can visit Graceland, the Stax Museum and Sun Records in one day, getting a quick and dirty ride in the roots of soul and rock and roll. The place that should be added to the list of musical landmarks is Ardent Studios, where all Big Star records were recorded. Even owner and engineer John Fry describes the Big Star records as his favorites to have worked on (Led Zeppelin, The Raconteurs and Primal Scream have recorded there too, just to put that statement in context). Memphis’ musical grounding makes sense when you listen to Big Star. 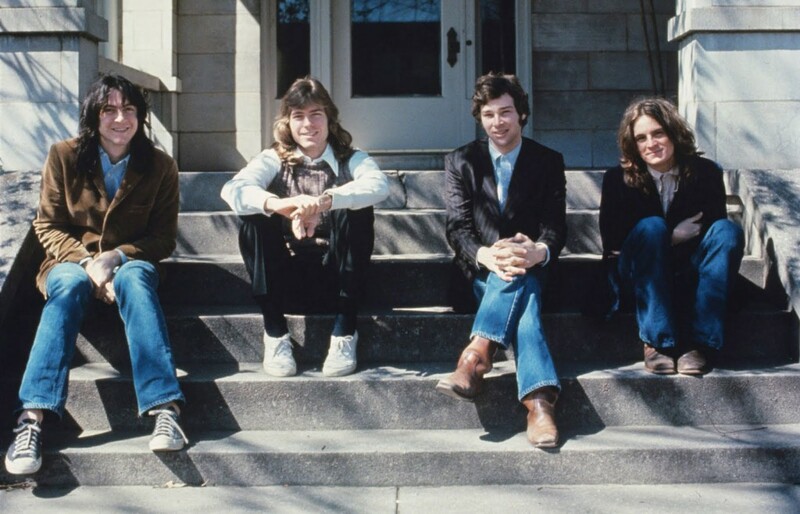 At their heart, Big Star are a rock band with an enormous amount of soul. …But failed commercially. Despite Ardent Records’ distribution by Stax, home to Booker T. and the MG’s, Isaac Hayes and Rufus Thomas, the group’s first two studio albums, #1 Record and Radio City, were plagued with distribution problems. It took four years to find a home for Third, an album recorded in 1974 by legendary Memphis-based producer Jim Dickinson, finally released on small labels in the US and UK in 1978. Before Big Star, a teenage Alex Chilton was in a 60s boy group called The Box Tops, singing lead on the hit song, “The Letter.” And after Big Star disbanded, Chilton moved to New York, becoming an elder statesman of sorts for the burgeoning punk scene. He even brought the punk rockabilly group The Cramps to Memphis in 1977 to produce their debut EP, Gravest Hits at Ardent Studios, and their debut LP, Songs the Lord Taught Us, at Sun Studios. 5) Their music has been recorded by Elliott Smith, Jeff Buckley, The Bangles, Wilco and more. You’ve probably heard the version of Kangaroo by obscure 80s group This Moral Coil in episodes of your favorite TV shows. That’s because the emotional weight and pop bliss of Big Star’s catalog makes the songs immensely coverable by artists across genres. From The Bangles’ version of “September Gurls” on 1985’s Different Light to Wilco’s 2013 cover of “Thirteen,” the band’s music continues to inspire reinterpretations and finding new fans with every listen.